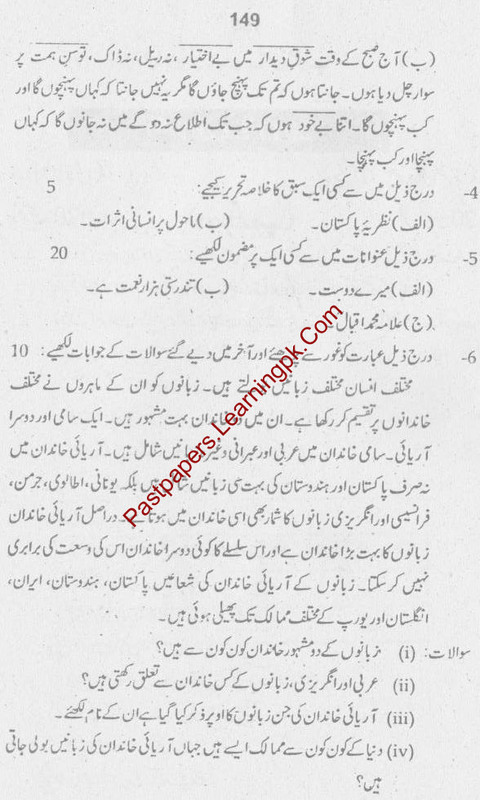 Lahore Board 10th Class Urdu Notes and Past Papers 2012 | BISE Lahore Board Last 5 Year Old Urdu Past Paper. BISE Lahore 10th Class (SSC Part II) Past Paper, Solved Guess Papers of 2012, 2011, 2010, 2009. Lahore Board Last 5 Year Old Uptodate Guess Papers. 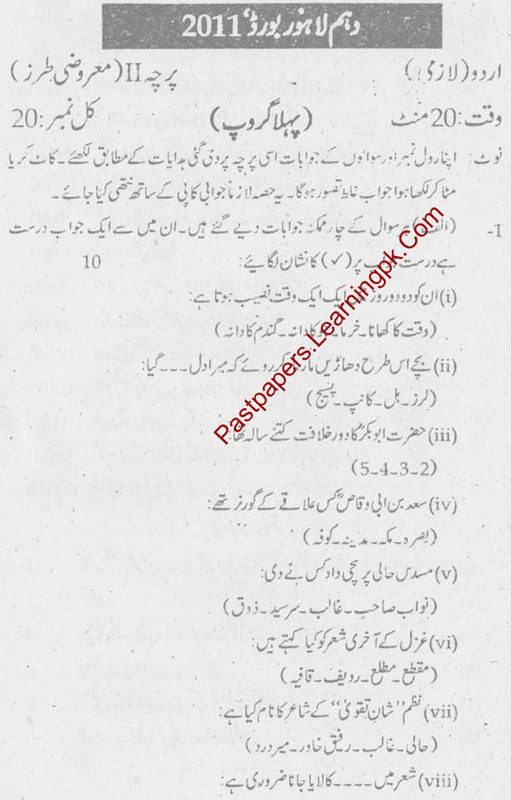 Download Lahore Board Past Papers of Physics, Chemistry, Biology, Computer, Mathematics, Maths, English, Urdu, Islameyat, Pak Study. kisi b book ka gues paper hasil krna ho to plz muj se rabta krna ham ap ki help krain gy.